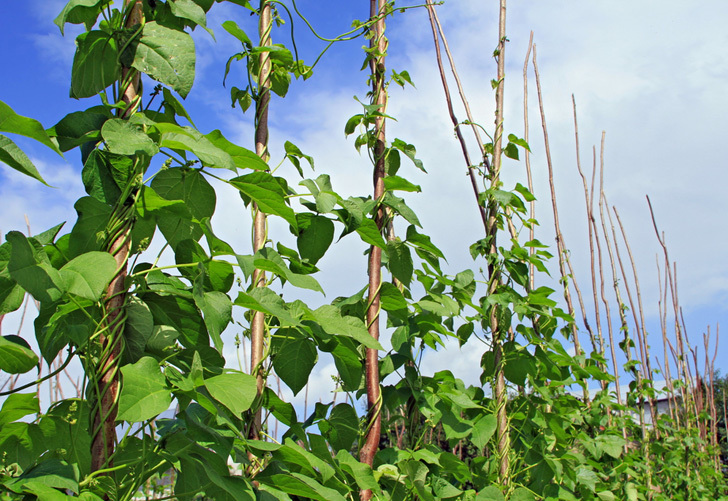 Beans are some of the easiest plants to grow, and can thrive by climbing something as simple as a string lattice. 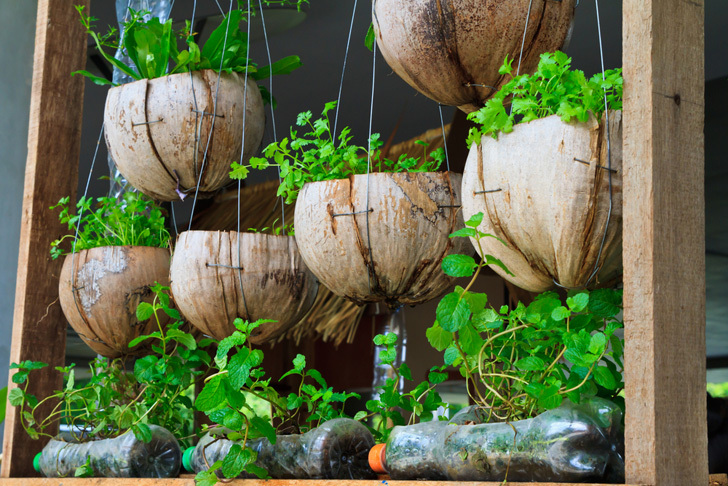 Emptied coconut shell halves make ideal hanging planters, and can be strung along any area that gets direct sunlight. 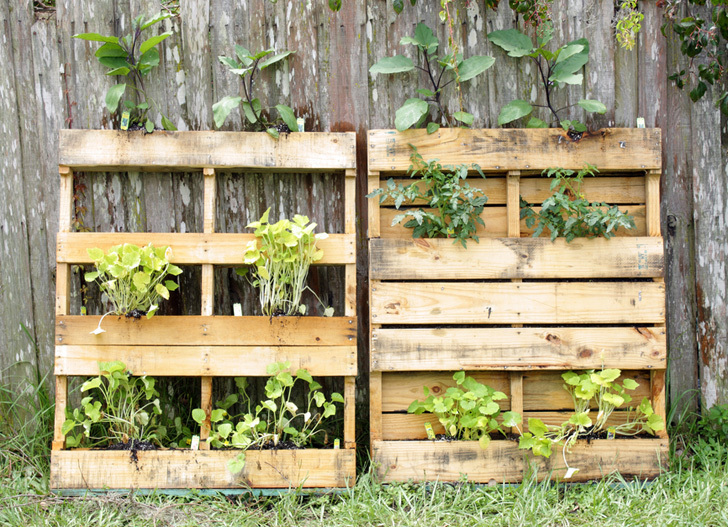 Cheap and easily accessible, pallets can be leaned against surfaces, hung from supports, lashed to walls, or stacked to create vertical gardens. 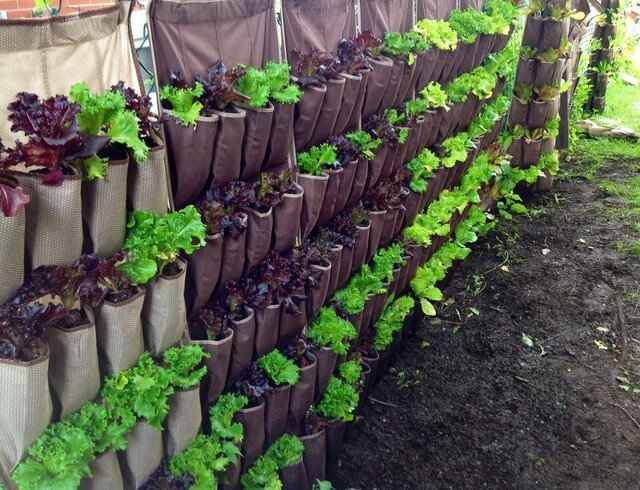 Remember those fabric shoe organizers that were so popular back in the day? 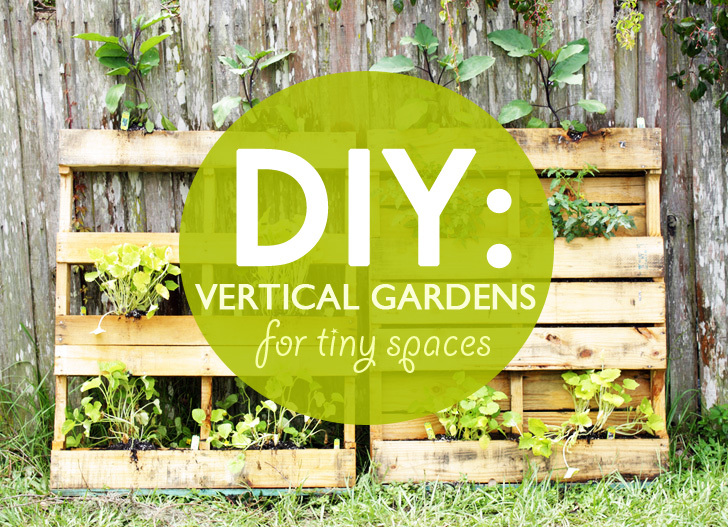 They're perfect for growing plants along a fence, or hanging from a laundry line. 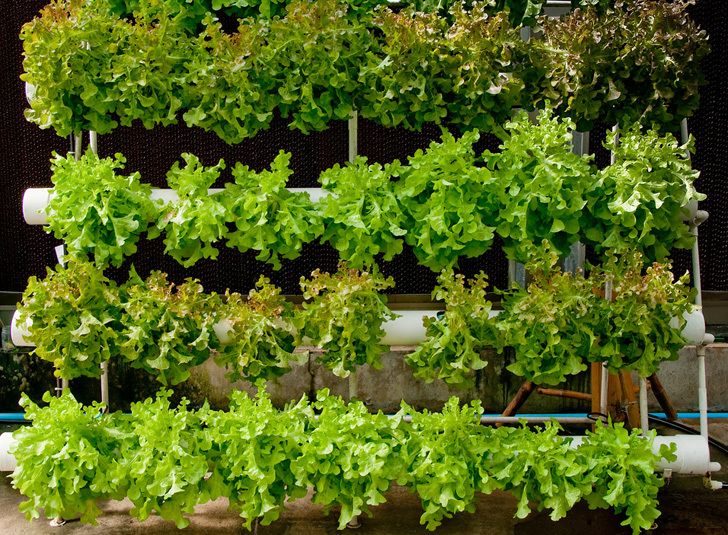 Gutters can make great lettuce planters, especially when segments are strung above one another. 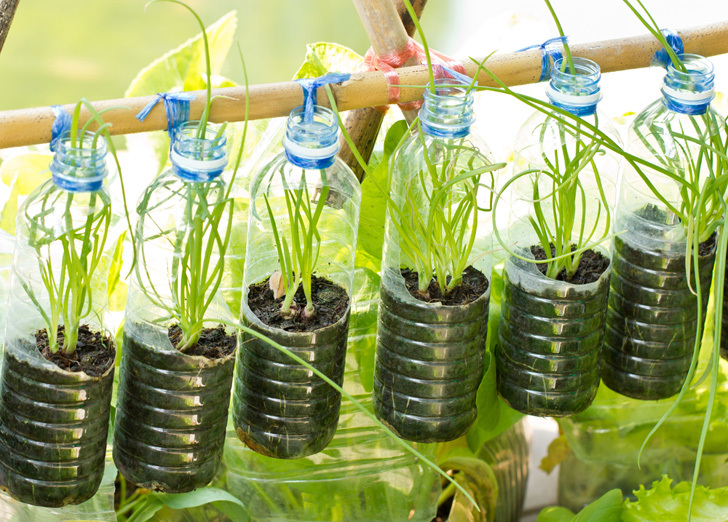 Instead of discarding used water bottles, poke holes for drainage and hang them from your bean poles so you can grow herbs alongside your greens. 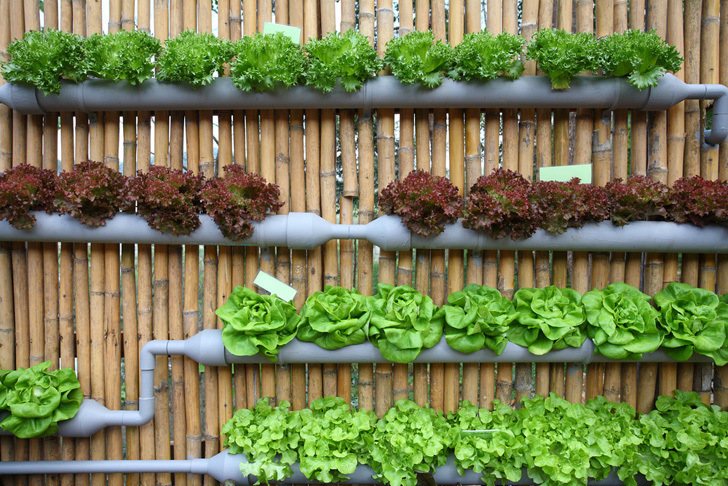 Another example of gutters/pipes repurposed for growing greens. 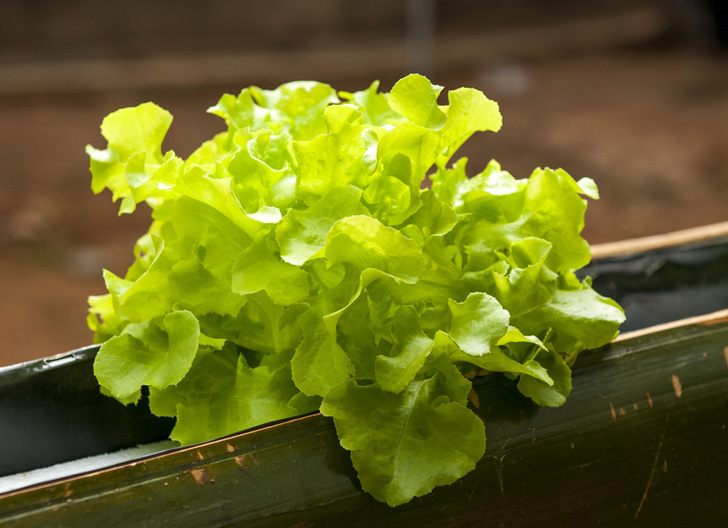 Lettuce has shallow roots, and can thrive in shallow gutters, pipes, and bottles. 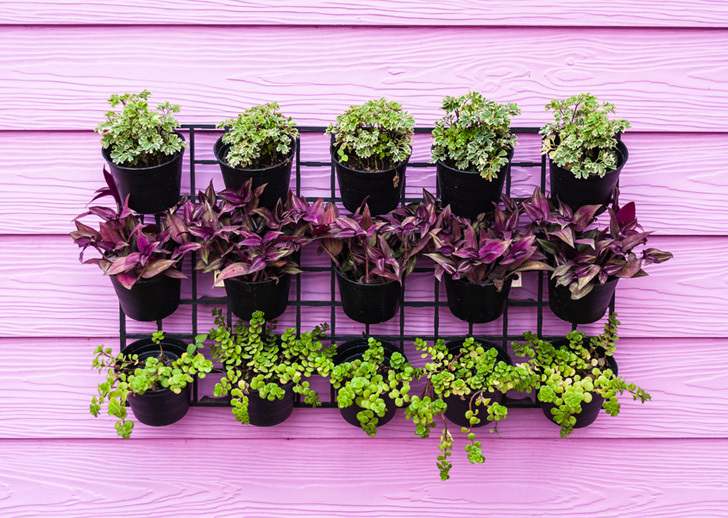 Old metal pot racks can be lashed to the side of a building or fence, and used to support potted plants of all shapes and sizes. 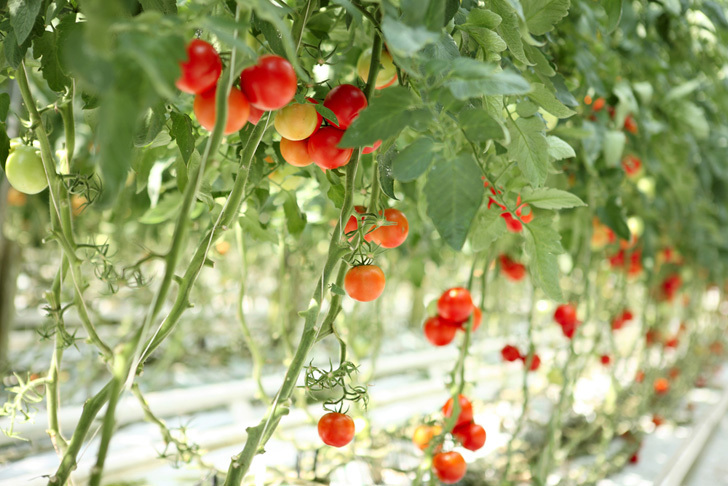 Climbing tomatoes are ideal for small spaces, as they'll grow as high as you'll allow them and don't take up much space. 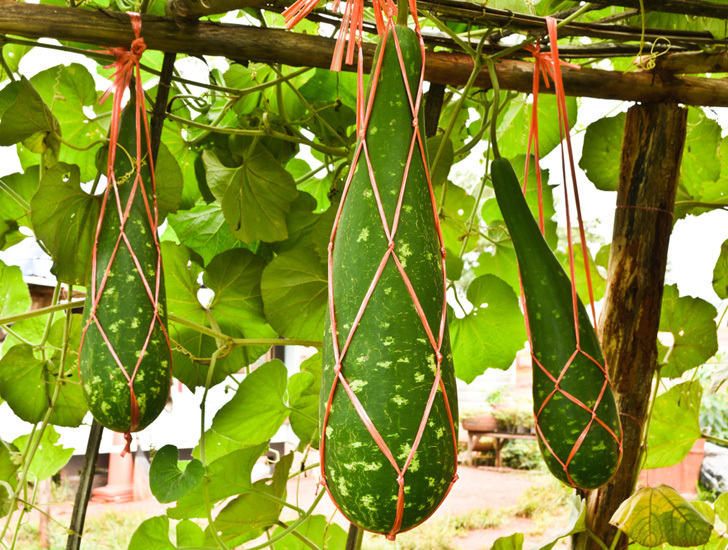 Gourds, squashes, and melons climb exceptionally well, though they will need some sort of support as they ripen so they don't break their vines. 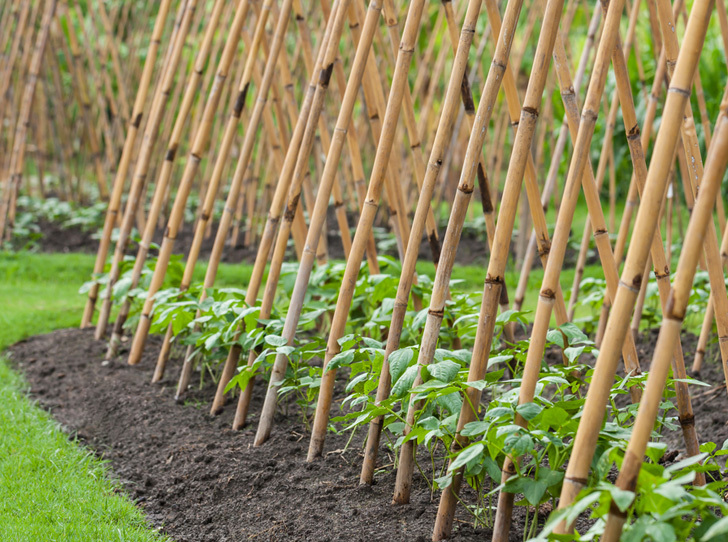 Bamboo poles and broom handles can be criss-crossed to create trellises for peas, beans, and nasturtiums to climb.